Beautiful handmade Seattle Seahawks 12th Man keychain, perfect accessory or gift for any Seahawks fan. Available HERE. Watercolor animal art prints for nursery, nursery wall art, nursery decor, customized art print, baby animals. Clicking on images will take you to the listing in my Etsy shop. Be a Flamingo in a Flock of Pigeons, flamingo watercolor and typography art. Stranger Things art - watercolor paintings and portraits by Olga Shvartsur. Stranger Things Christmas Lights, watercolor painting. Stranger Things Eleven "El" - watercolor painting. Eleven from Stranger Things, watercolor portrait, detail. Eleven (Millie Bobbie Brown) from Stranger Things, watercolor portrait with white background. Watercolor painting of the iconic Marilyn Monroe. Watercolor portrait of Bill Murray, Steve Zissou from the Life Aquatica. Steve Zissou (Bill Murray) from The Life Aquatica, watercolor painting. Bill Murray as Steve Zissou, watercolor portrait, detail. Prince watercolor portrait, purple, detail. Black and White version of my watercolor painting of Prince. Seattle 12th Man Art Gear! 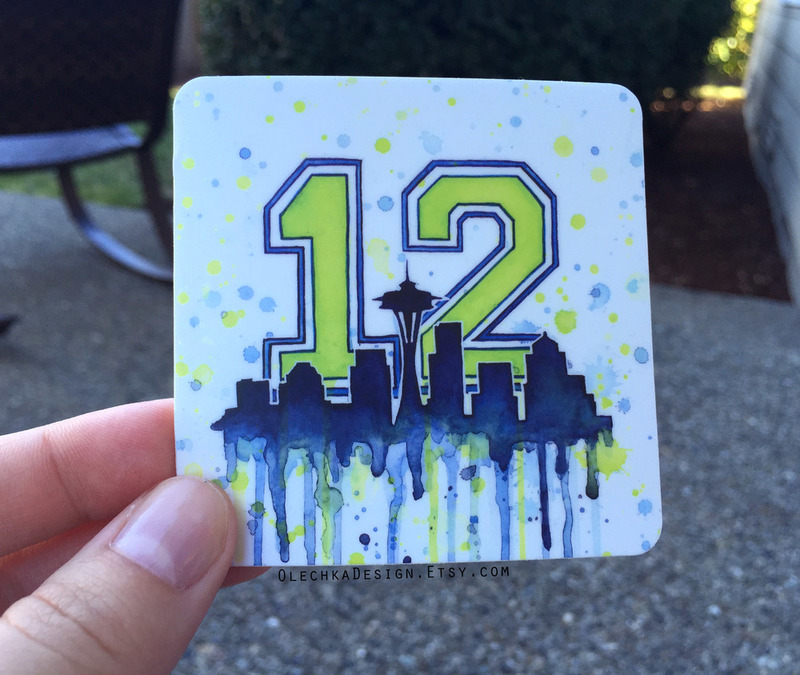 Awesome 12th Man Art, available on apparel, accessories and home decor! Click images below to shop. Go Hawks! Seattle 12th Man shirt, watercolor illustration by Olga Shvartsur. I am excited to announce my partnership with ModifyWatches! A collection of my artwork is now available on watches. These are customizable; you can mix and match watch faces with different colored straps! Check them out! Seattle 12th Man Watch Collection. Go Hawks! New stickers in my Etsy shop! 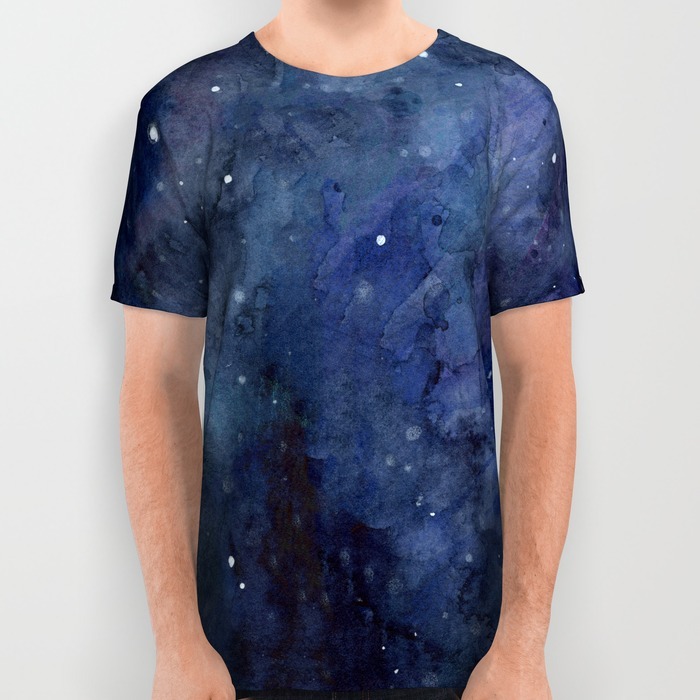 NEW: all-over-print shirts at Society6! 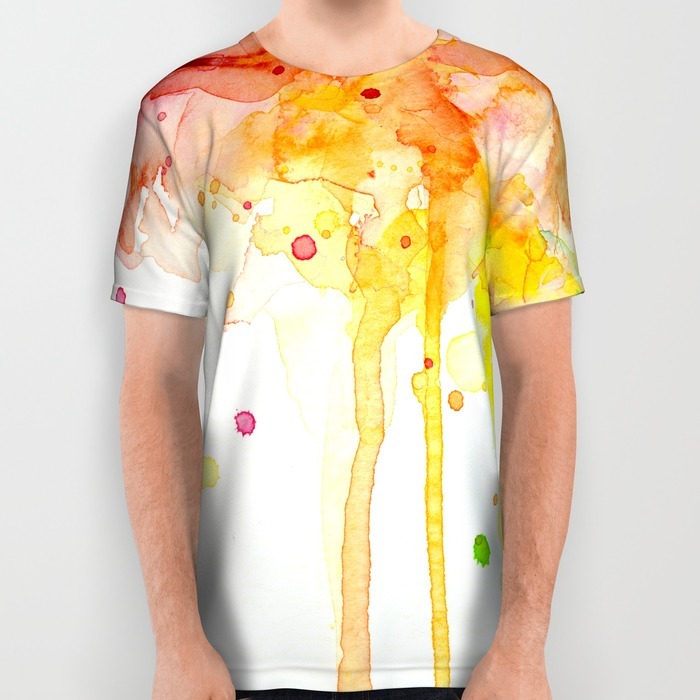 Society6 recently rolled out all-over-print shirts, and they are AWESOME!